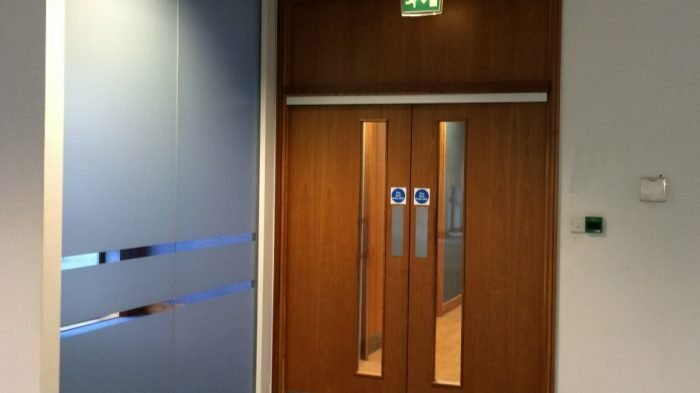 Fire doors are not ordinary doors. They are a carefully-engineered, fire safety devices which are critical to the fire safety of a building. Of course that doesn’t mean they have to be ugly. 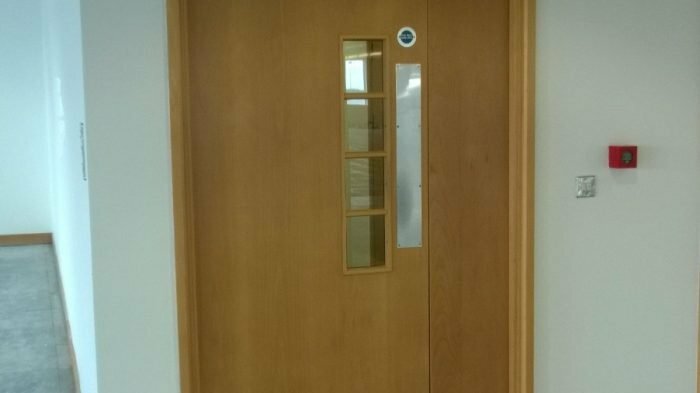 RWS’ Dilapidation and Refurbishment Team based in Peterborough Cambridgeshire RWS Dilaps have installed many decorative, timber fire doors on our projects. 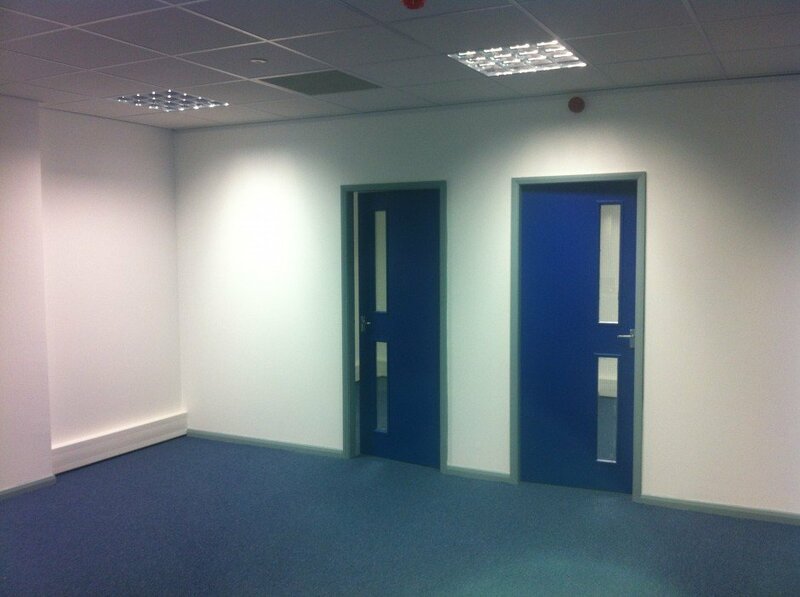 We have also manufacture fire doors in steel and aluminium. 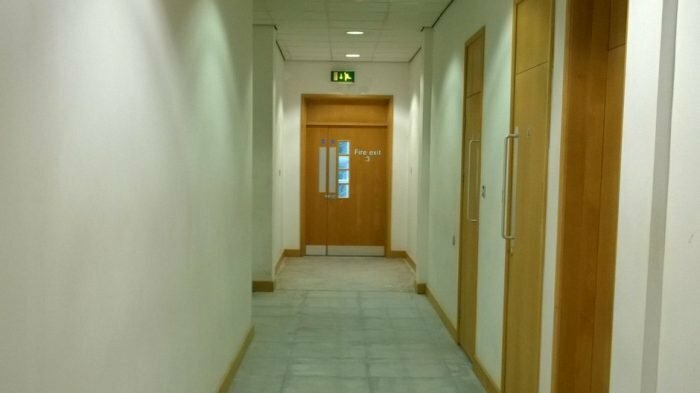 There are number of extremely important checks that need to happen when fitting fire doors. 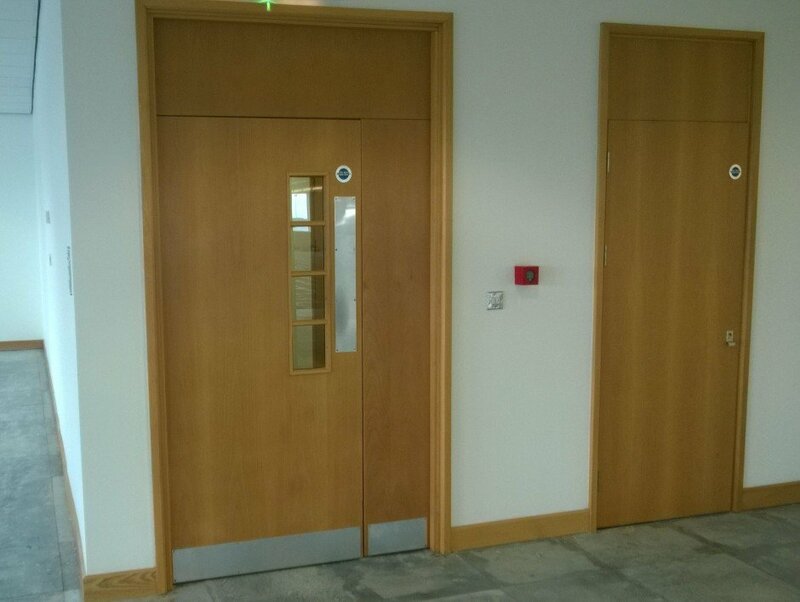 Correct installation of fire door assemblies and door sets is fundamental to their overall performance. 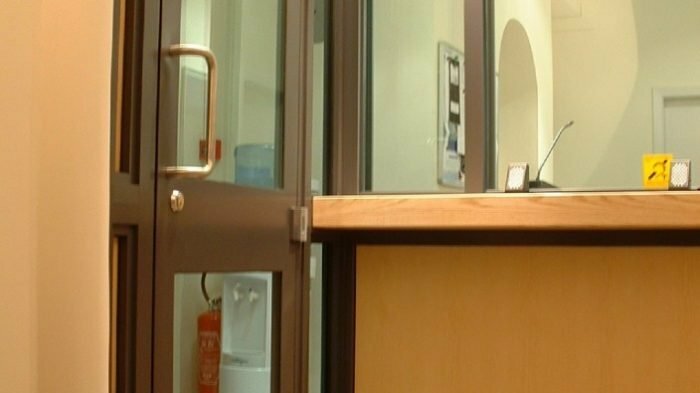 These checks will ensure that the fire door remains reliable to its fire integrity rating in the event of a fire and hence perform as it should. Please note that the integrity of the structure in which the door is sited needs to be assessed to ensure it has the same rating or higher. Is the door certificated? The label or plug on the door and it’s frame should identify any certification and provide links to where you can access further information. 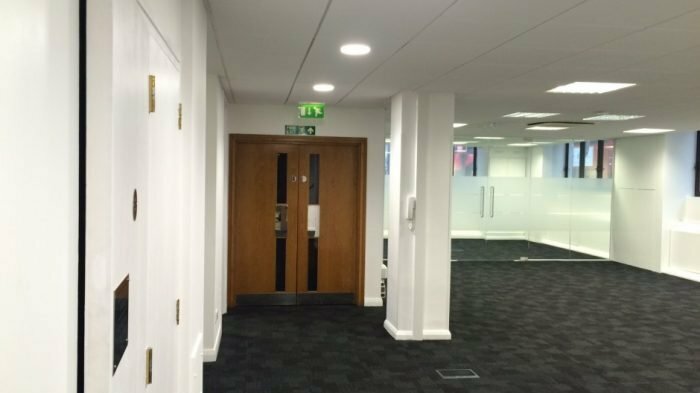 If not, what information supports that it will actually perform as a fire door? Documentation should be provided with the door. 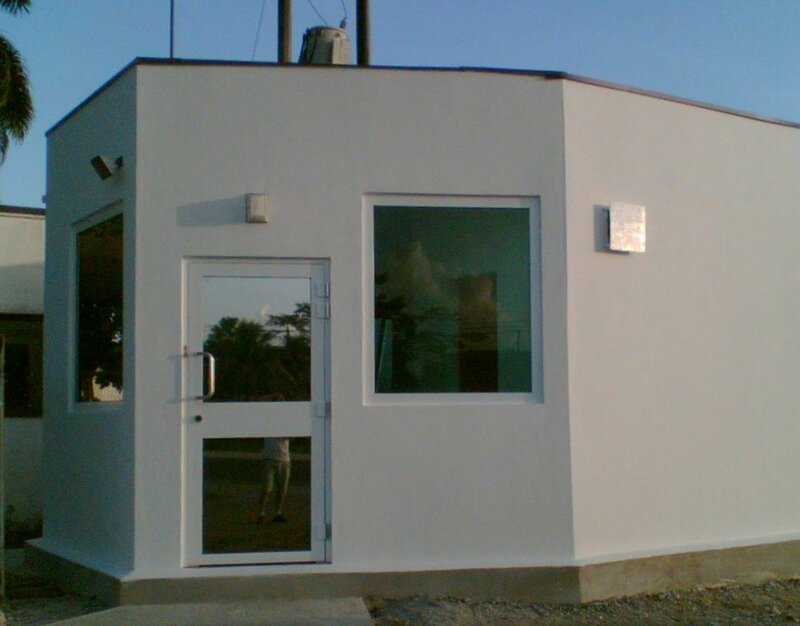 This should include fitting instructions – follow them to ensure correct installation. 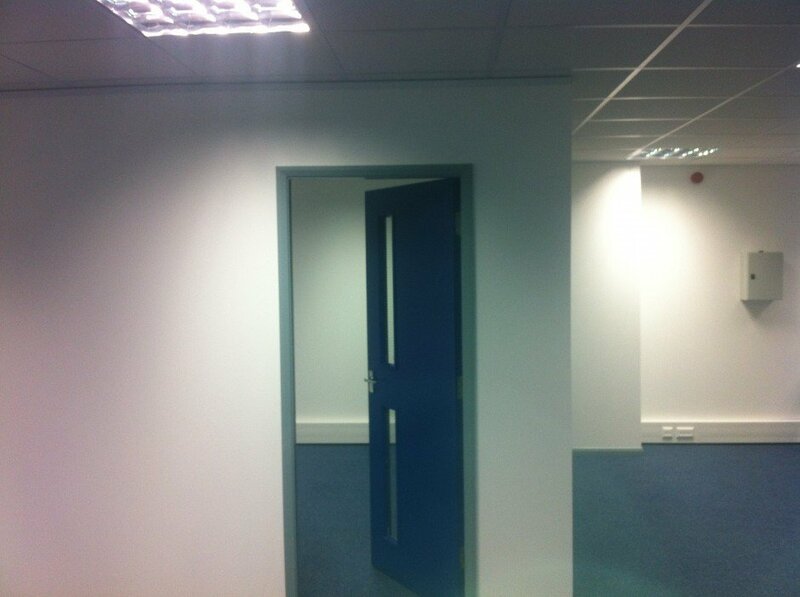 When fitting fire doors check the frame specification to ensure it matches the door’s fire rating. 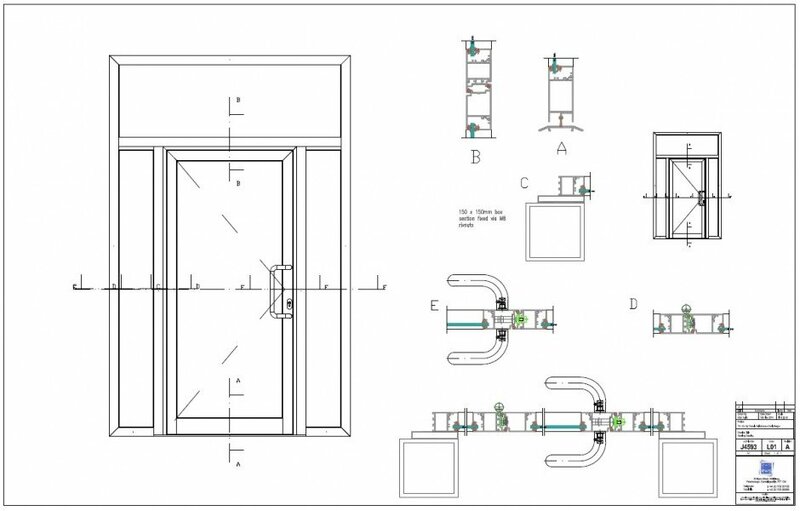 Check the ironmongery specified to ensure it is compatible with the door. 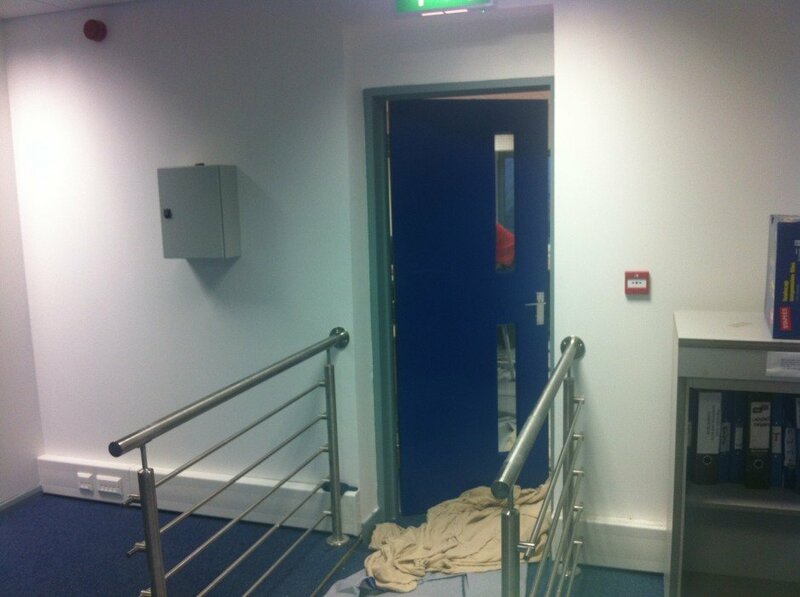 Correct intumescent seals must be installed with the fire door. Ensure any voids between door frame and wall are tightly packed with suitable fire stopping material (e.g. mineral or glass wool). 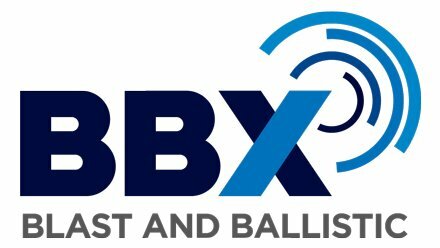 DO NOT cut apertures on site, seek professional help – any site alteration may negate any certification that the product has and who is liable for its performance. RWS’ Dilapidation and Refurbishment Team RWS dilaps have vast experience in compliance with fire regulations and British standards, on dilapidation projects, new builds and general refurbishments. 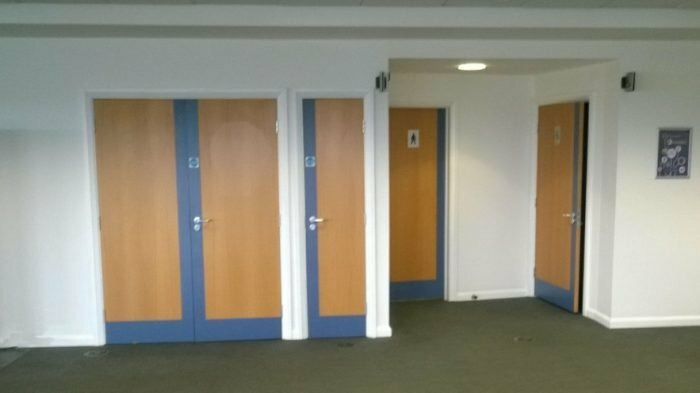 RWS Ltd manufacturer aluminium and steel fire door sets for internal and external use, on site in Whittlesey– Some pictures have been included below (and contact details). Does the door close soundly against the frame? 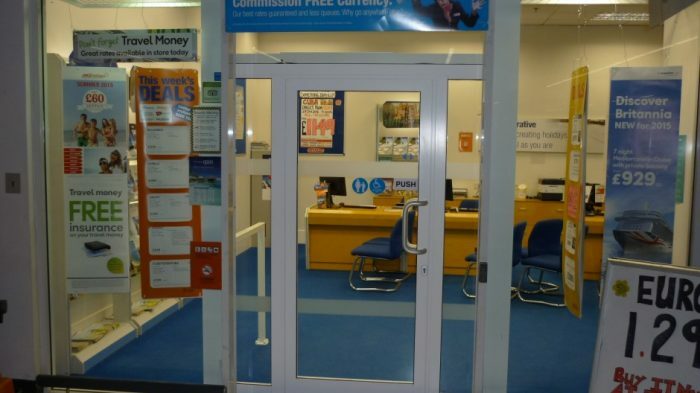 Are the gaps around the door consistent and less than 3-4mm when closed (use a £1 coin for an approximate check). Are there any obvious splits, cracks or chunks missing from the door? 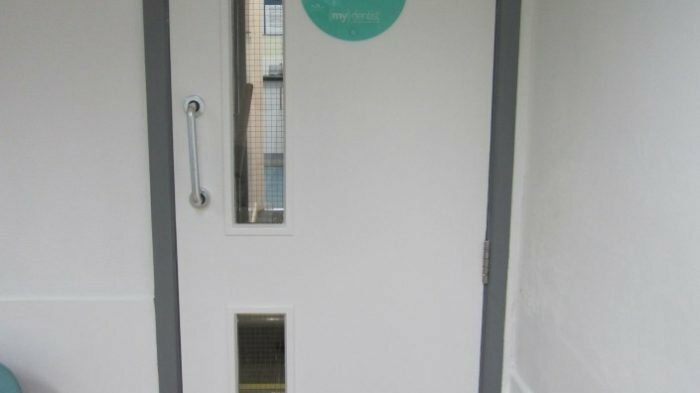 After fitting fire doors ensure they close firmly onto the latch from any angle – checking that they close after being opened only a few inches, from halfway and from the fully opened position. Can you see light through the gap at the bottom of the door? If so, check the door documentation to ensure the maximum clearance has not been exceeded. Are there a minimum of three hinges, are they all firmly fixed and are there any missing screws? Does the door assembly call for intumescent pads behind the hinges? If so are they present? If in a non-domestic building or common areas in flats, does the door have the relevant signage on it? 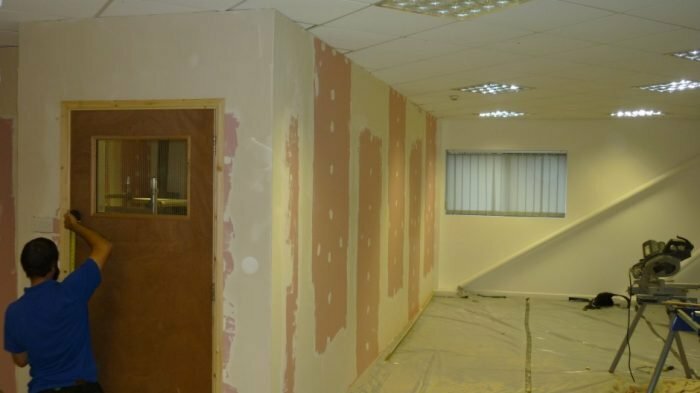 RWS’ Dilapidation and Refurbishment Team based in Peterborough Cambridgeshire RWS dilaps have vast experience in compliance with fire regulations and British standards, on dilapidation projects, new builds and general refurbishments. 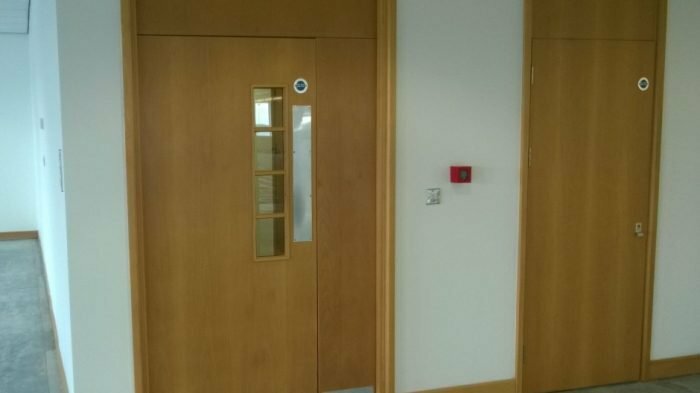 RWS Ltd manufacturer aluminium and steel fire door sets for internal and external use, on site in Whittlesey Peterborough– Some pictures have been included below (and contact details).